As BourbonBlog.com covers the unfolding events of “Pappy Gate,” we want you to be armed with the information to help uncover the stolen bottles. 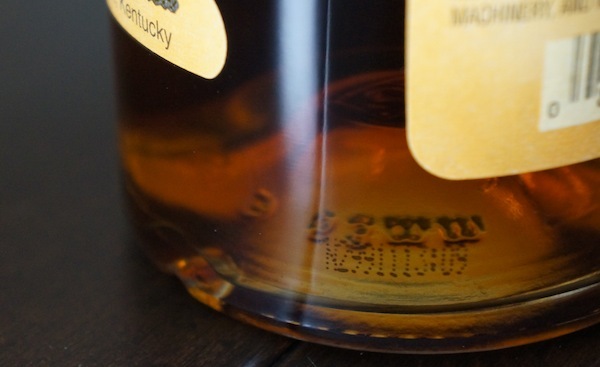 Like many bottles of liquor from major distilleries, Pappy Van Winkle bottles bear unique codes which are stamped directly on the glass (see examples of Pappy above and below)*. This specific code, which is in addition to the UPC, identifies when the bottle was filled and labeled and/or from what unique batch the spirit inside was derived.